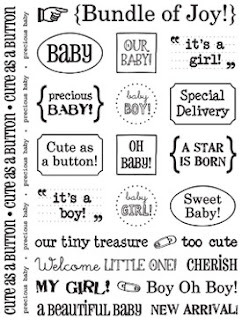 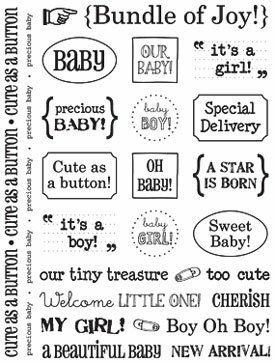 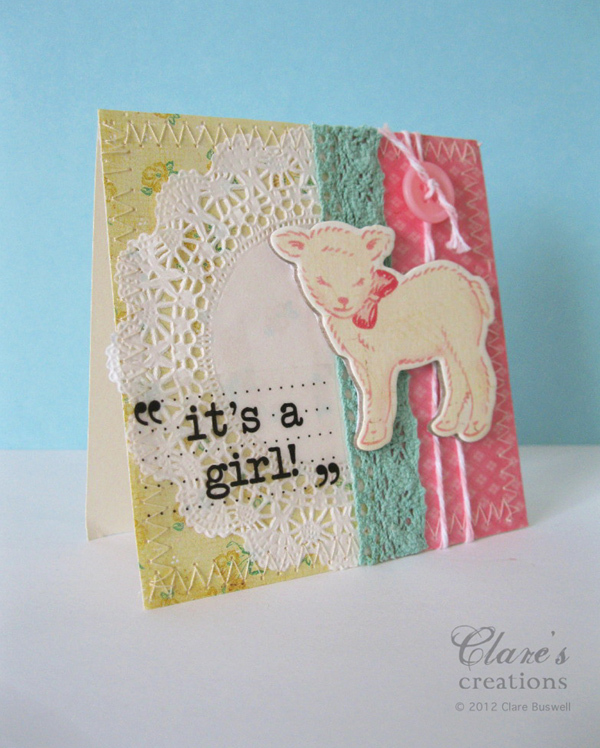 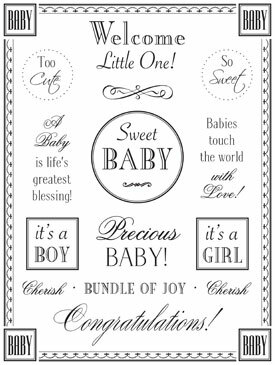 I've a couple of baby cards to share that I made recently using SRM Stickers. I used Fancy Sticker Sentiments - Baby on this first card. The patterned papers are from the Little Bo Peep Collection from Crate Paper, the bunny chipboard sticker is from the same collection. 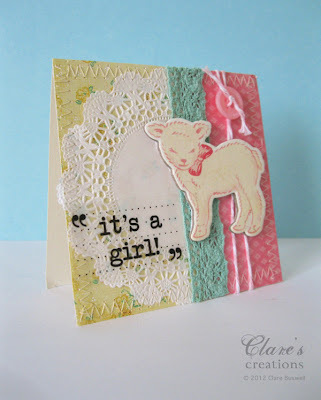 The little felt flower I made using the Sizzix flowers 3-D die. 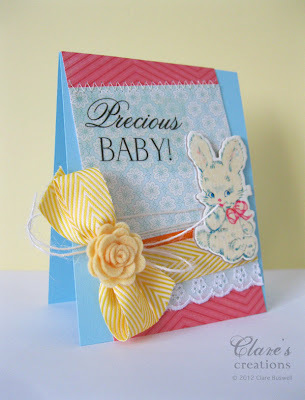 These are so sweet - I love the felt flower - perfect tie in with baby - the soft fuzzy material - and love the sweet images!